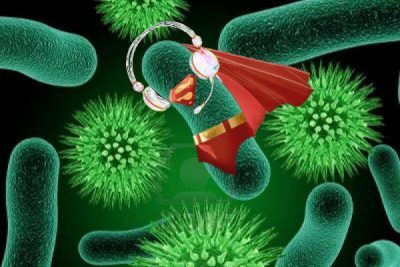 Analysts say that the population of super bacteria is so strong in the area, they could be the “last organisms standing,” taking the Gold in all watersport events. Super bacterium being interviewed via Google InterSpecies™ technology. Scientists say that these “super bacteria,” which infect waterways to be used in swimming, rowing and canoeing competitions, can cause hard-to-treat urinary, gastrointestinal, pulmonary and bloodstream infections, along with meningitis, and may even result in death. The surprise addition of the super bacteria to the Games might not have even been discovered, if not for one particular bacterium, which was interviewed recently via Google InterSpecies™ — a cutting edge, newly trademarked way of connecting and communicating with other species. The bacterium interviewed said its name was “Sammy Germaine,” and announced plans to enter swimming and rowing competitions. This, despite the fact that it had not competed in any qualifying events to get into the Olympics, as is required by the Olympic Charter. “After all, it’s the ‘last organism standing,’ to paraphrase another of your lovely sports cliches,” he added.